For more than half a century, space has been the exclusive preserve of governments, a United Nations in the heavens. Now, capitalism has crossed the atmospheric frontier. The Dragon space capsule landed safely in the Pacific Ocean after a nine-day mission, carrying with it 1,455 pounds of cargo from the International Space Station and hope for a new era of space travel and exploration. Built and flown by Space Exploration Technologies, or SpaceX, Dragon is the first privately developed and operated spacecraft to travel to the space station. The test mission began May 22 when the Falcon 9 rocket, also built by SpaceX, lifted off from Cape Canaveral, Fla., carrying the unmanned Dragon capsule. The capsule then had to catch up to the space station as it circled the earth at about 17,000 miles per hour. Once it did, the Dragon was pulled in by a robotic arm operated by the space station crew. On the capsule’s way back to Earth, three giant parachutes, each 116 feet in diameter, eased its descent. The successful test flight will likely allow SpaceX to begin flying other cargo missions to the space station as part of its 12-flight, $1.6 billion contract with NASA. Another private company, Orbital Sciences Corp, has a contract with NASA similar to SpaceX’s and is expected to unveil its own cargo spacecraft later this year. Blue Origin, Boeing and Sierra Nevada have also received NASA funding to develop means of carrying cargo and astronauts to and from the space station. The Dragon’s flight came nearly one year after NASA stopped operating the space shuttle Atlantis, which completed 33 missions between 1985 and 2011. By supporting a George W. Bush-era directive nixing the space shuttle program, President Obama brought those missions to an end. In the short term, Russian and European shuttles stepped in. At the time, however, Obama said he hoped to shift responsibility for carrying space-station-bound crews and cargo from the public sector to the private sector. The last flight of the Atlantis marked the end of one era. After a short gap, the flight of the Dragon marked the start of the next. Just the day before the Dragon’s return, the Federal Aviation Administration paved the way for another milestone in private space travel, granting permission for Virgin Galactic’s SpaceShipTwo to begin rocket-powered test flights. The SpaceShipTwo, which holds six passengers and two pilots, is operated by Virgin Galactic and is intended to offer the first chance for private citizens to travel to sub-orbital space. Around 500 people have already booked rides at a cost of $200,000 a person. While the test flights will not include passengers, the FAA’s approval is a sign that those space tourists’ departure dates are getting closer. Meanwhile, another company, Planetary Resources Inc., has said that it is looking into the possibility of mining rare metals from asteroids. While the venture’s first step – developing telescopes to examine asteroids more closely – is less glamorous than the efforts of SpaceX or Virgin Galactic, the project has already won the backing of an all-star roster of high-tech investors, including Google’s chief executive, Larry Page. When the Atlantis made its final touchdown last year, I worried that the landing might signal an end to U.S. dominance in the aerospace industry. As I noted at the time, China has ambitious plans for its own space program, and those plans appear to be progressing rapidly. China did not send a human into orbit until 2003 – 41 years after John Glenn accomplished the same feat – but it now intends to have a manned space station assembled by approximately 2020, around the time that the International Space Station is expected to be retired. With funding to NASA decreasing, China’s government-sponsored space program may soon rival our own. The private space industry, however, is still largely, if not uniquely, an American enterprise. 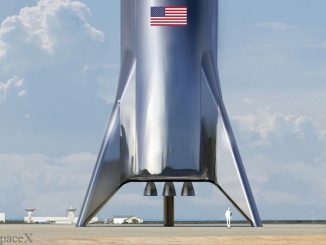 Through hard work, creativity and sheer passion for discovery (as well as for potential profit), private companies such as SpaceX are opening new frontiers. Meanwhile, released from the burden of conducting regular supply missions for the space station, NASA plans to focus on other projects, such as sending humans to Mars. 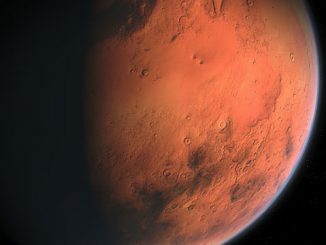 The agency has set a goal of reaching the red planet by 2033. It may have competition, however, if it wants to be the first to get there: Elon Musk, chief executive of SpaceX, has said he hopes to get humans to Mars in just 10 years and is relatively confident of achieving the goal in no more than 20 years. Whether done by public entities or private ones, space travel is not easy. A first attempt to launch the Dragon on May 19 ended when the engines of the Falcon 9 shut off almost immediately after firing. But reaching for the stars is worth doing. It offers us both the opportunity to build scientific knowledge that can help us on our own planet and a chance to see beyond our world. The Dragon’s accomplishment brings us one step closer to the day when going into space will be pretty much like traveling anywhere else: crowded, uncomfortable, prone to abrupt delays and cancellations, but still something that many of us will want, and will be able, to do. Only 3 Minutes To Get To Mars? That’s What A Photon Rocket Can Do!